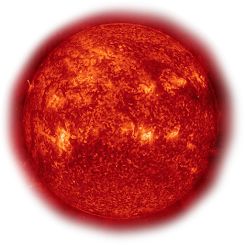 This image shows a photographic view created from the Digitized Sky Survey 2 of part of the constellation of Cetus (The Sea Monster). 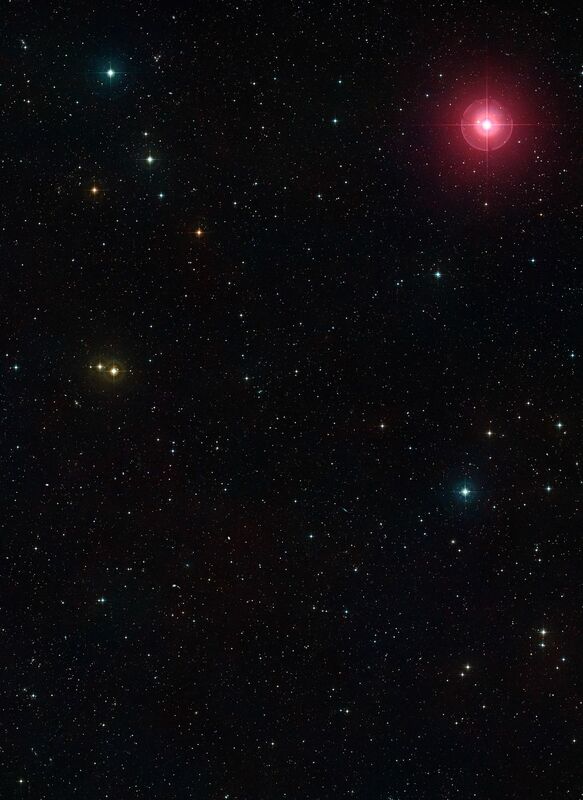 The bright red star at the upper right is the famous variable star Mira (Omicron Ceti) and towards the lower left is the region of space studied in a new survey, using ESO’s VLT and the SINFONI instrument, of the feeding habits of young galaxies as they grew through cosmic time. Digitized Sky Survey 2. Acknowledgment: Davide De Martin.